Novedades Agrícolas is an engineering company established in 1978 specialized in design, manufacture and installation of Turn-key projects of technology for intensive agriculture (greenhouses, irrigation, etc.) and water treatment all around the world. Novedades Agrícolas is one of the very few companies that provide integral, international and advice services in this area of expertise. Our experience allows to offer a full technical study in each case to get the solution that best suits specific requirements, what makes everything easier for our customers. We manufacture our own products to guarantee the highest quality on greenhouse installations, irrigation, control systems and agricultural technology, based on ISO 9001 Standard. Our commitment to innovation and environmental quality is certified under ISO 14001 standard. Since 1980, the company researches and invests in R+D projects to discover solutions that make intensive agriculture more productive and profitable, and develop smart systems whilst respecting the environment. Multi-tunnel greenhouses for horticultural crops. Design, Manufacture and Installation of APR Greenhouses structures for intensive agriculture. Automatic equipment for injecting fertilizers into the watering system. Design and installation of Irrigation Systems customized to specific customer needs. Design and Manufacture of Compact Water Treatment Plants. Design, manufacture and installation of APR greenhouse structures for the most developed and technological agriculture that we offer for their immediate start-up. High durability and resistance greenhouses that allow a correct ventilation and light input to get the most out of your production. APR greenhouses could be equipped with automation, ventilation, temperature control, humidification and irrigation systems. 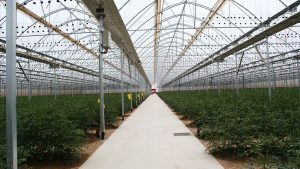 The design and structure of the greenhouses meet the European standards UNE-EN 13031-1, according to the requirements of ISO 9001 and 14001 standards. XILEMA is an automatic equipment for injecting fertilizers into the watering system that provides greater control over your operation. Xilema is a leader controlled fertigation in high-performance farming both in greenhouses and outdoors all around the world. Offering solutions for all requirements in terms of the different crop types and their development phases, achieving: Saving in manpower, provision of nutrients in a balanced and uniform manner and improvement in the quantity and quality of the harvests. It can be controlled in a simple and remote way allowing programming parameters from anywhere in the world, sending notifications to your mobile or desktop device and having all the information at your fingertips easily. Novedades Agricolas,designs and installs for over 40 years ago irrigation systems, which can be customized to specific customer needs. We are specialized in Automatic Irrigation Systems such a Drip Irrigation, Sprinkler Irrigation or Hydroponic Systems. These systems adapt to uneven, rocky or steep terrain, and significantly reduce the evaporation of water in the soil. You can control the application in simple, complete and automatic doses with the possibility of modifying them at any time of the crop. – Saves labor, water and energy. – Increased efficiency of irrigation. – Reduced maintenance costs (fault detection and protection of the different components of the irrigation system). – Increased production due to optimization of irrigation. 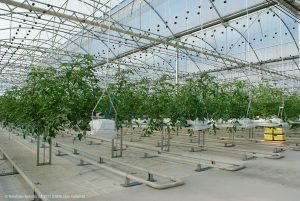 The Climatec Climate Controller is able to bring forward the environmental needs of any type of plant, as well as controlling the different environmental agents in the greenhouse. • Screens for saving and shade. This whole technology facilitates climate control, besides signifying an important saving in time and energy for the farmer, because it optimizes the performance of the technology applied to the greenhouse. use of our most valuable resource through our brand SMAQUA: Drinking water plants, Waste Water treatments, Grey Water, Water recycling and Ozone treatments. Simple operation and minimum maintenance.